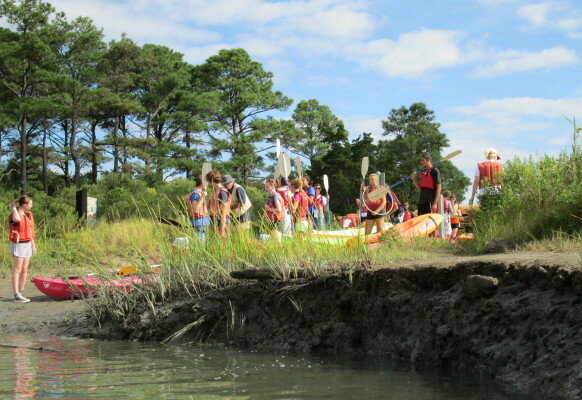 CBGS prides itself on offering about a third of its instruction as hands-on, in the field studies, using the Chesapeake Bay as a living classroom. 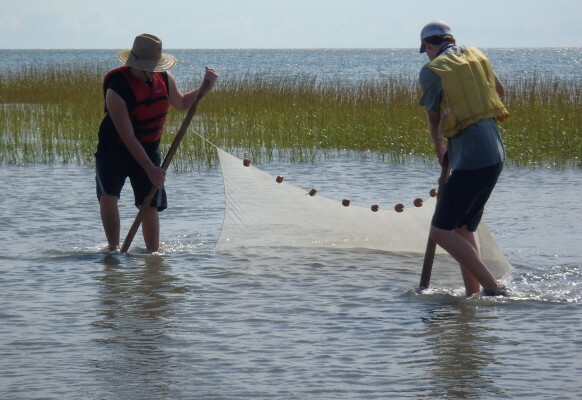 Marine & Environmental Science is inherently a field science, and field studies are an essential component of our curriculum. 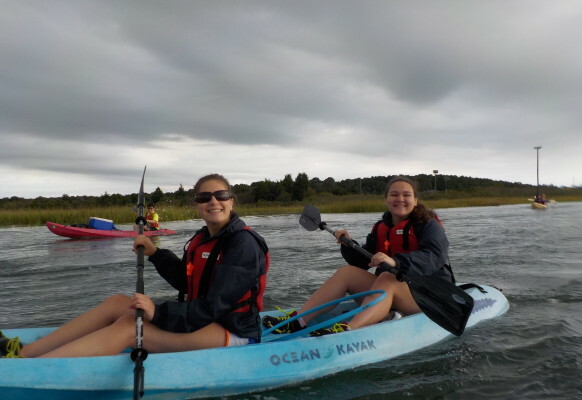 Concepts and material learned on these trips will be integrated into our classroom work, and students can explore and harness their intellectual curiosity by participating in world-class research opportunities with local academic institutions and partners. 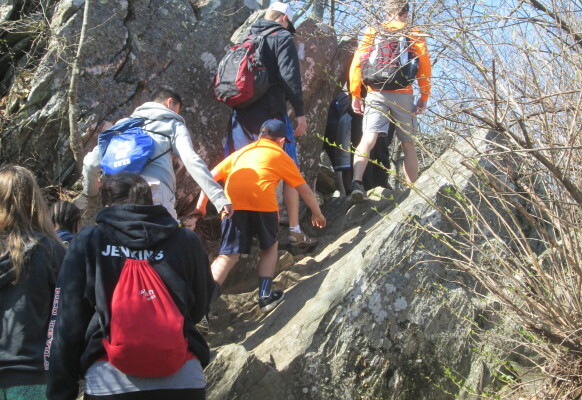 Field studies are also rich learning adventures, and they’re fun! And a day outside, on the water, or in the sand beats sitting behind a desk in front of a chalkboard for the gazillionth time since kindergarten, doesn’t it? The student’s field studies each year trace the path of a drop of water from the mountains to the sea. 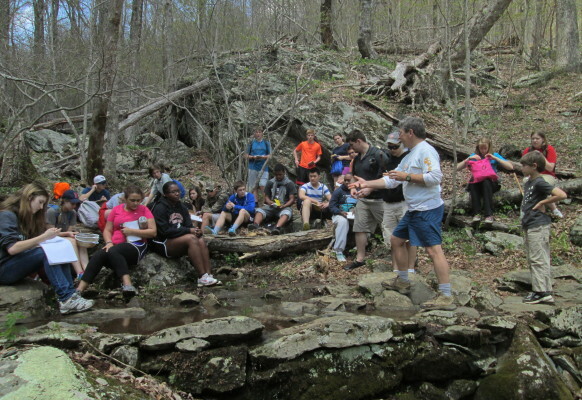 Sophomores will visit Shenandoah National Park for a watershed survey. 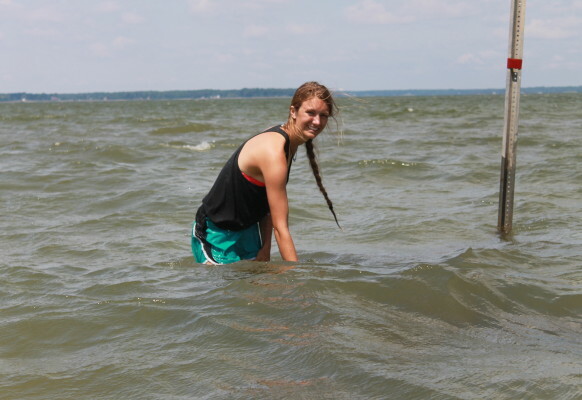 Juniors conduct an open water study and an estuary investigation on the Coan and Potomac Rivers. 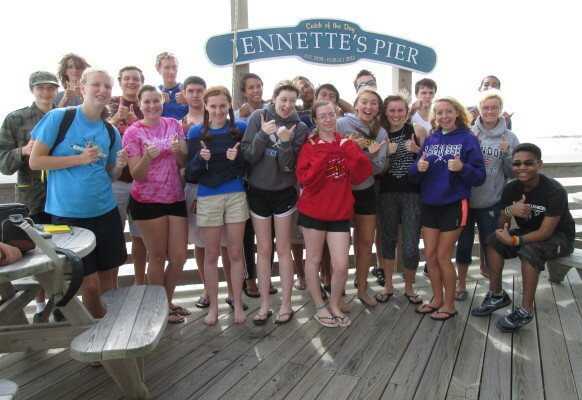 Seniors will visit the Outer Banks. 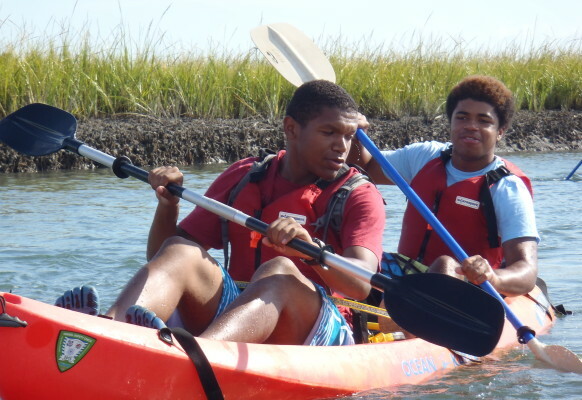 There are some costs associated with the field studies, which are a part of the annual CBGS Comprehensive Student Fees ($120 each for sophomore and junior year, and $150 for senior year). This fee covers the cost of each trip, including lodging, meals, activities, and transportation, and is due when school starts in August. The Comprehensive Fee also covers a student’s CBGS t-shirt and waterproof notebook, as well as other costs for All-Site Days and more. For financial assistance, please speak with either the Director or one of the Foundations or Marine & Environmental Science teachers.